Today is that annual tradition we Americans call Thanksgiving. 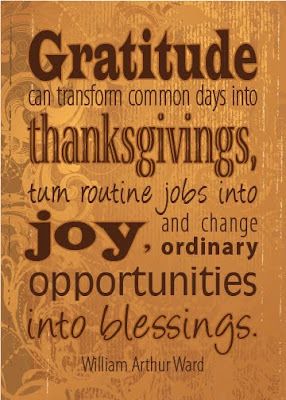 Giving thanks and Thanksgiving mean a lot of different things to different people. My wish for my Green Team Gazette family is that you is that your heart is filled with thanks, kindness, love, gratitude, memories, and comfort. I am most certainly thanks for all of you who have traveled along with me for the last 5 years.